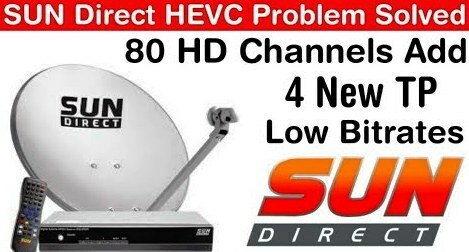 Sun Direct partners with Harmonic to add 80 new HD channels on its direct to home TV service. DTH operator Sun Direct (Sun DTH) has adopted a new HEVC media processing solution for video delivery services, Harmonic, which will allow Sun DTH to entertain its viewers with 80 additional HD channels. Using the Harmonic Electra X2 encoder and the Prostream multiplexer, Sun can transmit additional channels from four existing transponders at low bit rates. "Today's viewers want exceptional video quality and a wide selection of channels." When we sought to expand our HD services offer, we needed to partner with an expert in satellite implementation and coding efficiency, "said CTO S Kannan. of Sun Group. "Harmonic allows us to offer more channels using the same amount of transponder space so we can focus on increasing subscriber satisfaction and revenue growth." The Electra X2 uses coding to improve video quality while integrating with ProStream, allowing Sun to increase bandwidth efficiency. The ProStream processor maximizes the saving of transponders, admitting up to 100 statmux services per platform. The entire Sun system workflow is IP-based and controlled by Harmonic's NMX network management system. "Sun Direct plans to deploy additional HD STBs this year, and Harmonic is leading the way in helping the operator capitalize on the highest associated subscription rates, primarily choosing Harmonic for its excellent coding efficiency, pristine video quality and our long-term and continued implementation support, "said Tony Berthaud, vice president of sales at Harmonic APAC.